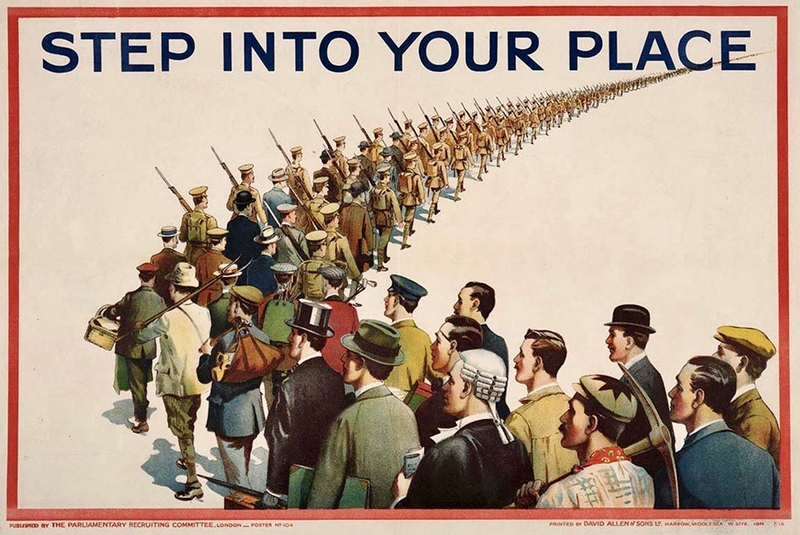 I write this at 11am on the 11th November 2018 – exactly 100 years since the ending of The Great War. I have been aware of the significance of this moment of remembrance since my childhood: wherever we were at the eleventh hour of the eleventh day of the eleventh month, we had to stop what we were doing and be silent for two minutes. This – and the horrors of war – have been in my psyche forever. Growing up in Britain there was always that awareness of the two world wars, and the losses and sacrifices that they caused: every town and village has its war memorial, giving the names of those who died. 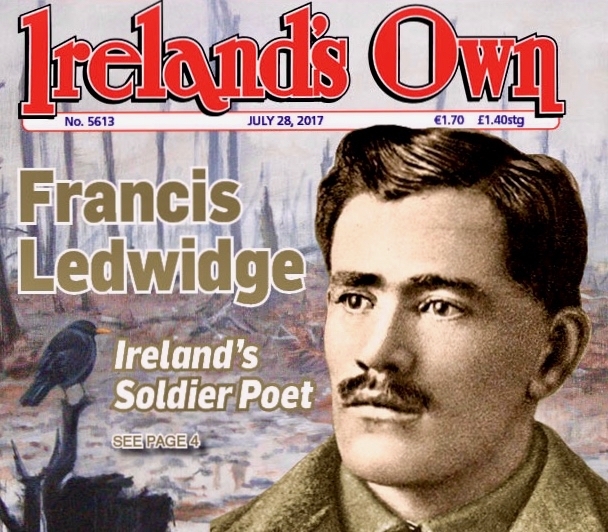 That first – Great – war also affected Ireland but, until quite recently, it seems those Irish people who died because of it have received scant commemoration. 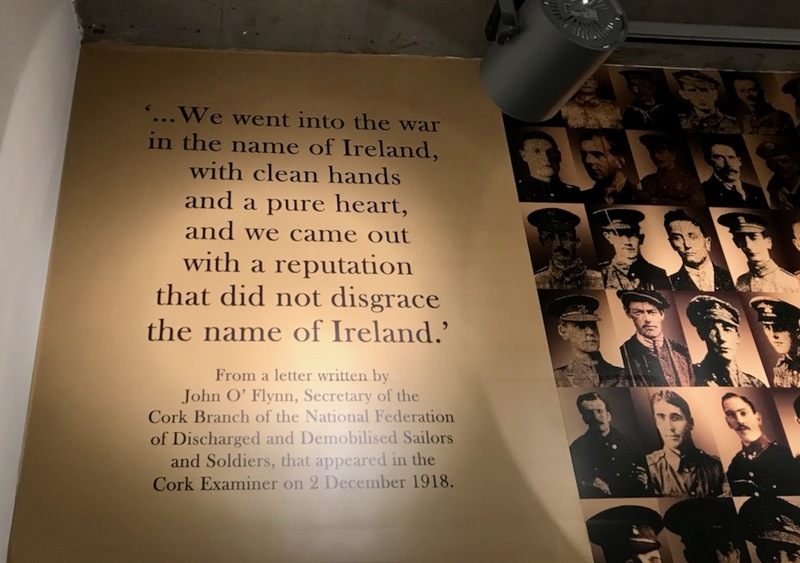 But – as always in Ireland – once you begin to turn over the stones you do find the history; today’s post looks at just a few examples of memories and commemorations of the 1914 – 1918 conflict. 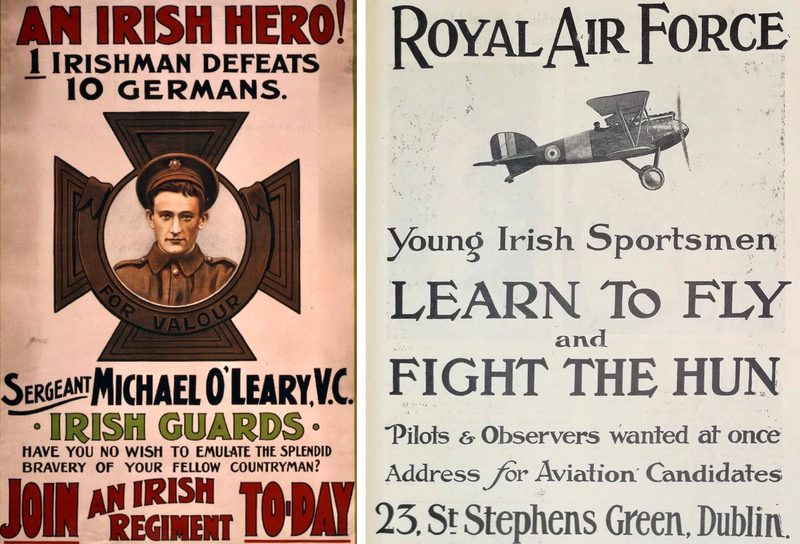 Last week saw the opening of a new exhibition at the Cork Public Museum – Cork 1918: Victory, Virus and Votes. 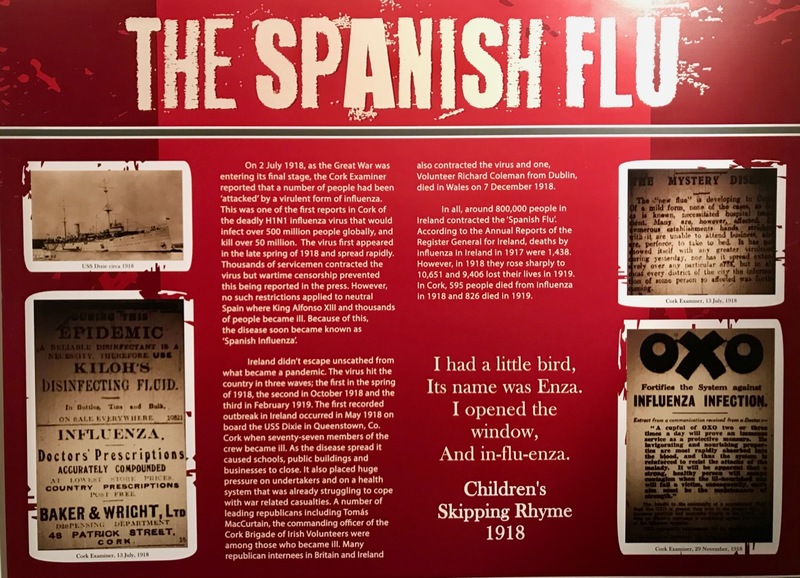 There are photographs, posters and artefacts – all very well displayed – telling the story of the involvement of people from Cork in the Great War, the political fallout from the War and the aftermath of the world wide Spanish Flu epidemic which claimed millions of victims. It’s a must-see exhibition and congratulations are due to Dan Breen and his dedicated team at the museum for bringing it to fruition at this appropriate time. The images above and below are from the new exhibition. Today Finola is thinking about her grandfather – Sgt William Owen Roberts – who served in the Welsh Fusiliers and had a distinguished military career which included the Boer War and the Chinese Boxer War. He served in the Great War and was captured and interned in Germany and Holland. He contracted and died of the Spanish Flu on 15th November, 1918 – just a few days after the end of the conflict – at the age of 39. His grave is in The Hague. 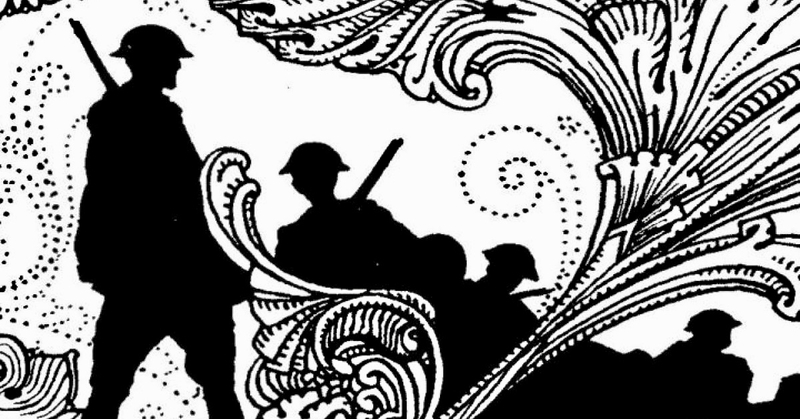 There can be only a few families not affected by the wars of the twentieth century. My own Uncle Jack died in a prison camp in the 1940s, while my mother’s mother was a victim of the flu epidemic, dying in 1918 and effectively orphaning my mother (aged four) and her three siblings, as their father was away serving in the army. 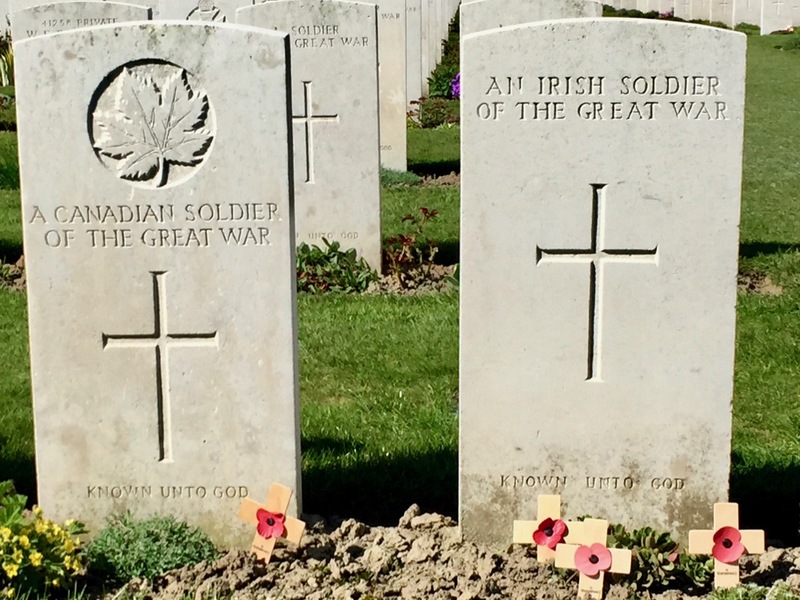 Tucked away in burial grounds around Ireland are the graves of those who died in Europe between 1914 and 1918 in that awful war – and of those who died subsequently as a result of injuries and mental stress arising from the war. We mark them out on our travels around the country. 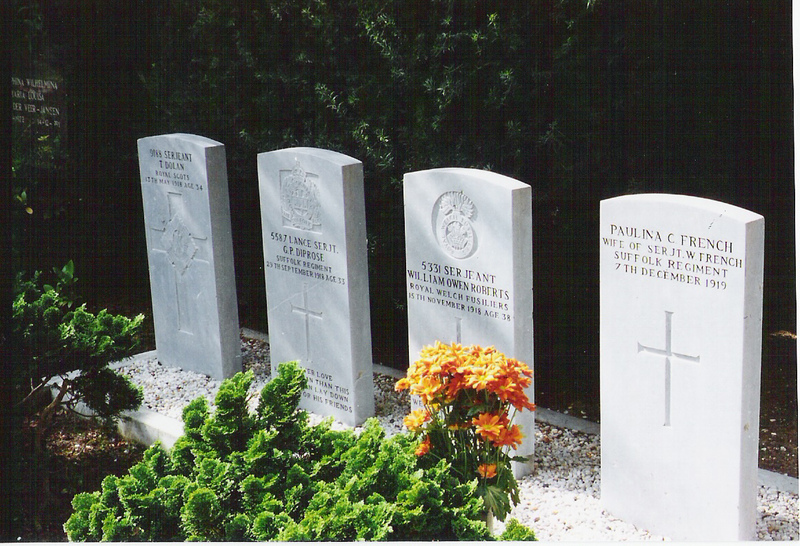 The graves – erected by the Commonwealth War Graves Commission – are of a distinctive uniform design, originated by the architect Edwin Lutyens (who also designed the great Thiepval Memorial in France, the largest Commonwealth memorial to the missing in the world, inscribed with over 72,000 names). The sheer magnitude of that number – people of whom no trace is left other than a name carved on stone – is bewildering. 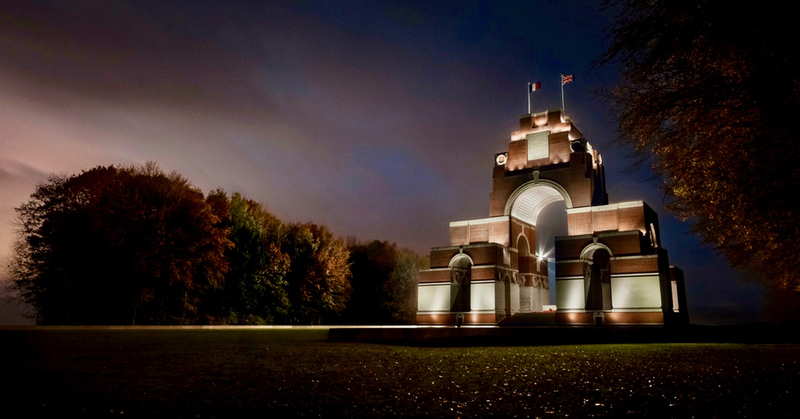 The image below of Thiepval is courtesy of the CWGC. Ireland does now have its own dedicated national war memorial to commemorate the Irish men and women who died during the First World War. The idea was first mooted in 1919 but took years to gestate. 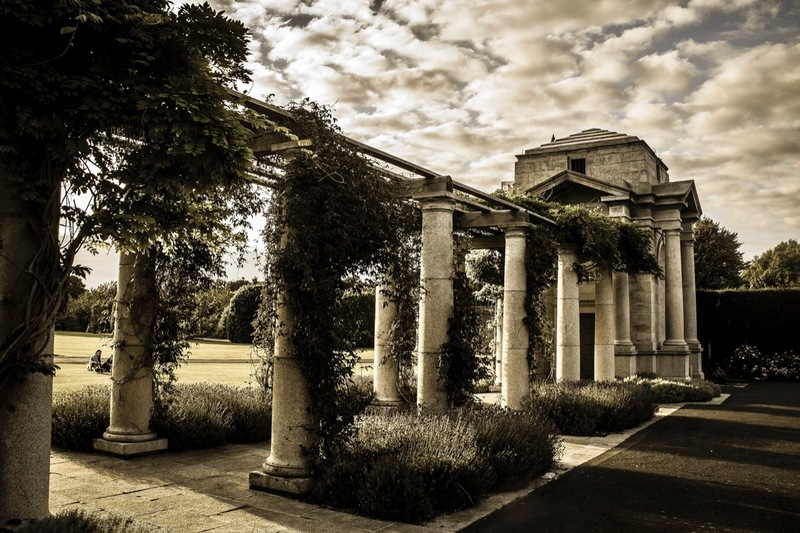 Lutyens was commissioned to design formal gardens in Islandbridge, Co Dublin, in the early 1930s, and construction work was largely completed in 1937, following by the establishment of trees and landscaping, an essential element of the design. The 1939 – 45 war in Europe delayed the opening of the memorial, which languished and suffered from decay and neglect for years after that. It wasn’t until 10th December, 1980 – following restoration by the Office of Public Works – that the Irish National War Memorial Gardens were formally dedicated, and they are now maintained to a high standard. As a point of interest, the gardens include classical pavilions – ‘Bookrooms’ – designed to house the memorial record illustrated by Harry Clarke and inscribed with the names of the 49,400 Irish soldiers lost during the Great War. The image of the memorial gardens below is by Diego Lopez Sebastian. The ‘tailpiece’ is a Harry Clarke Illustration from Ireland’s Memorial Records. For us, perhaps it’s those tucked-away and often forgotten graves in the corners of Irish cemeteries that are the most poignant. 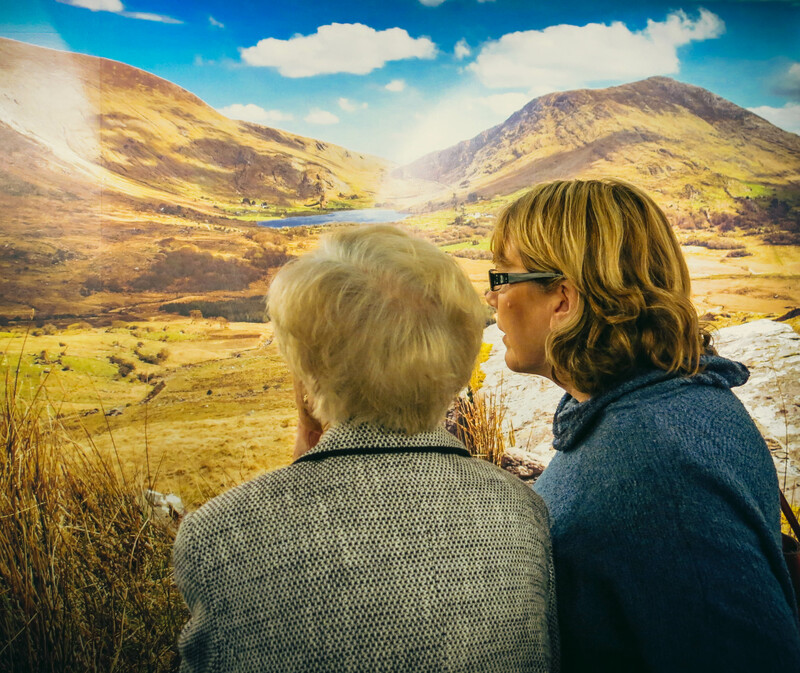 We know that each one tells a story: we can’t know that story – but hopefully there is always somebody who does know – and who passes on the memories to future generations. 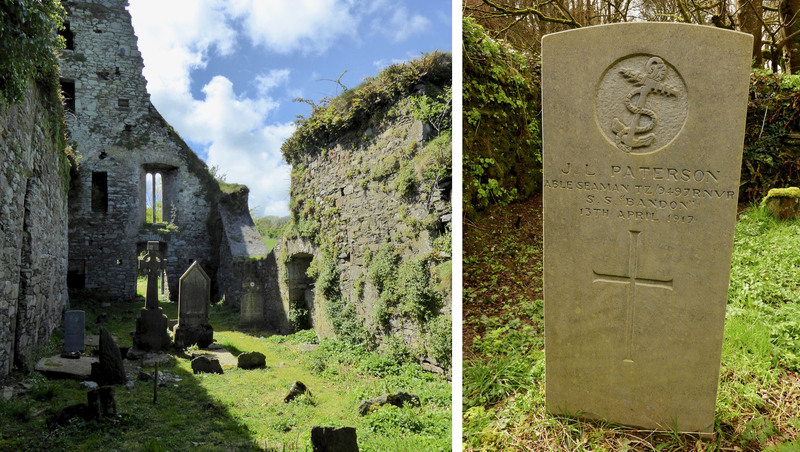 Above: two tucked-away West Cork war graves. The left-hand picture has an example, lower left, and is at Abbeymahon Graveyard, Courtmacsherry. 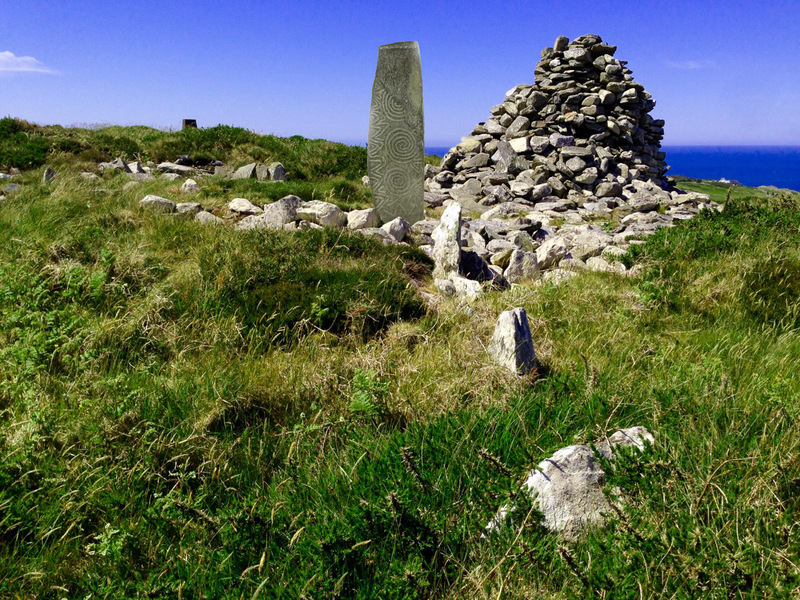 On the right is an example at the ancient burial ground of Castlehaven. 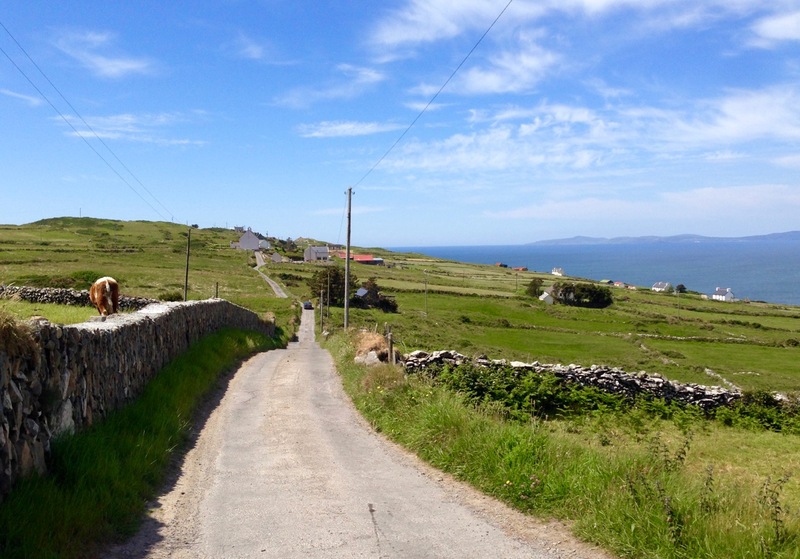 The enigma begins around 1874, on Cape Clear – the southernmost piece of inhabited soil on the islands of Ireland. Land here is hard won, and the stony fields are laboriously cleared using human power and – most likely – donkey power to improve prospects for grazing and tillage. 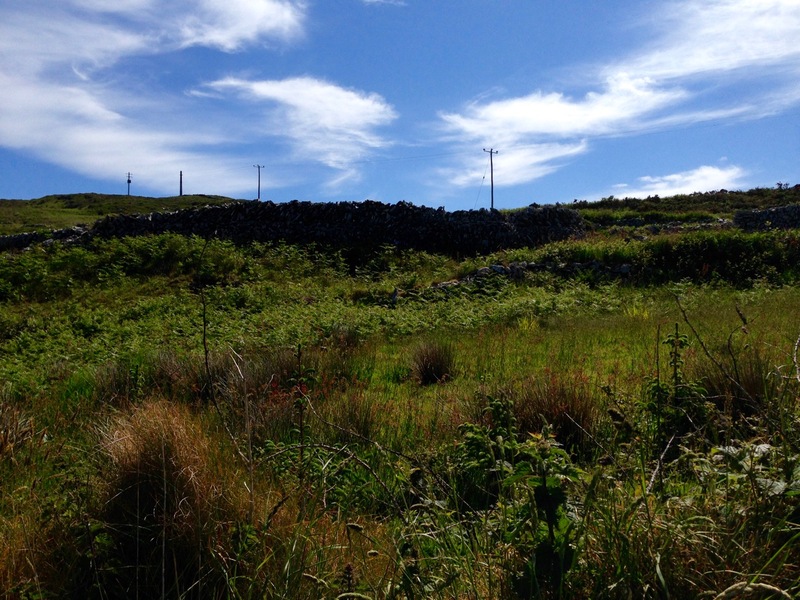 In this year a narrow field in the townland of Croha West is being improved: the farm belongs to Tom Shipsey. 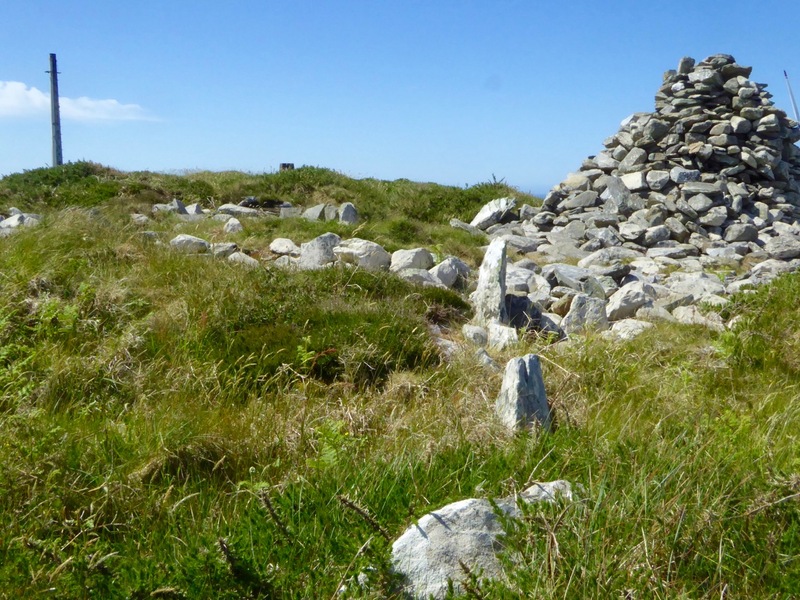 His men – Dónal O Síocháin and Conchúr O Ríogáin – turn up a stone with strange markings on it, reportedly together with ‘shards of old incised pottery’, although these latter have never been traced. At this time the Curate on Cape is Revd John O’Leary. We might reasonably assume that he takes an interest in the stone and has it set up somewhere to show off its curious and undoubtedly historic decoration. 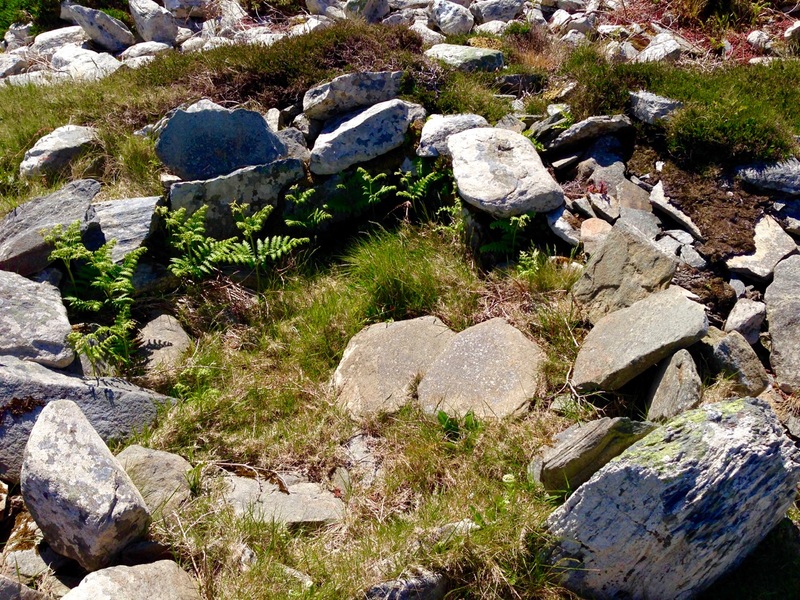 We do know for sure that, when he leaves Cape Clear in 1877 to take up the curacy of neighbouring Sherkin Island, the stone goes with him and becomes a feature in his garden there. 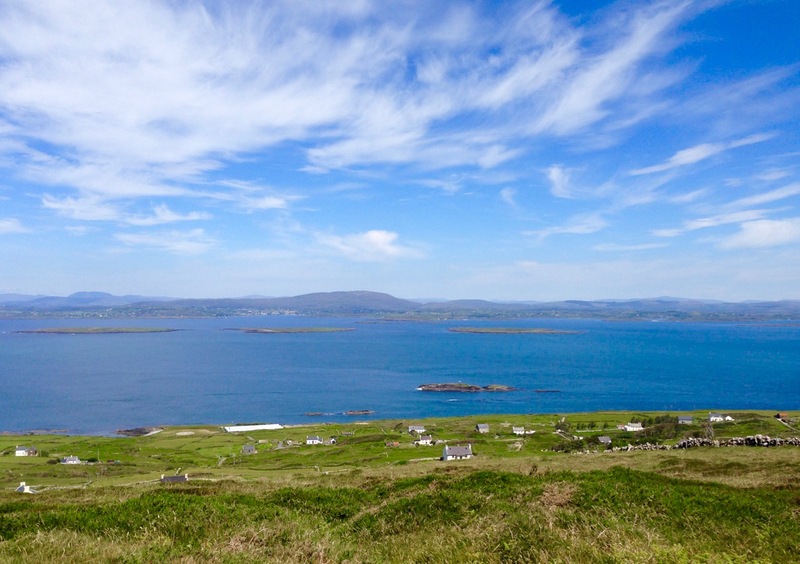 It does not, however, accompany him to Clonakilty whence he is transferred to become Parish Priest and Monsignor in 1881: instead it languishes on Sherkin, benignly fading into the undergrowth. Years later – in 1945 – the stone is ‘accidentally rediscovered’ by the then incumbent, Rev Fr E Lambe. Presumably recognising its probable significance he has it shipped off to University College Cork where it is received by Professor Seán P Ó Ríordáin. Close to the University grounds in Cork is a residence built by Charles Beamish in 1845 at the cost of £4,000 on land purchased from the Duke of Devonshire. Beamish has the grounds laid out with a variety of shrubs and trees, and due to their density the grounds become known as The Strawberries and the house as The Shrubbery. 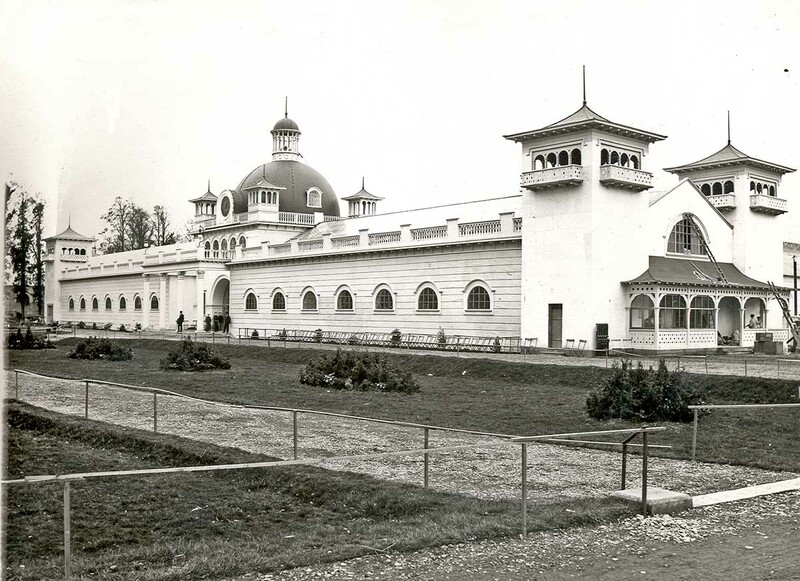 In 1901 the house and grounds are taken over by Incorporated Cork International Association and used as the venue for the great World’s Fair of 1902. Following this the grounds – now known as Fitzgerald’s Park – are donated to Cork Corporation for recreational use by the public. Eventually The Shrubbery is converted into Cork’s Public Museum which opens in April 1945, under the auspices of UCC: the first Curator is Michael J O’Kelly. The Cape Clear Inscribed Stone completes its travels (for now) and is on permanent display in the Museum. This little narrative sowed the seed that the stone might be connected to a passage grave. If so, this would probably date the carving to some five thousand years ago. But, surely, there should be some trace of the passage grave itself if this is the case? No such traces could be found in the townland of Croha West. 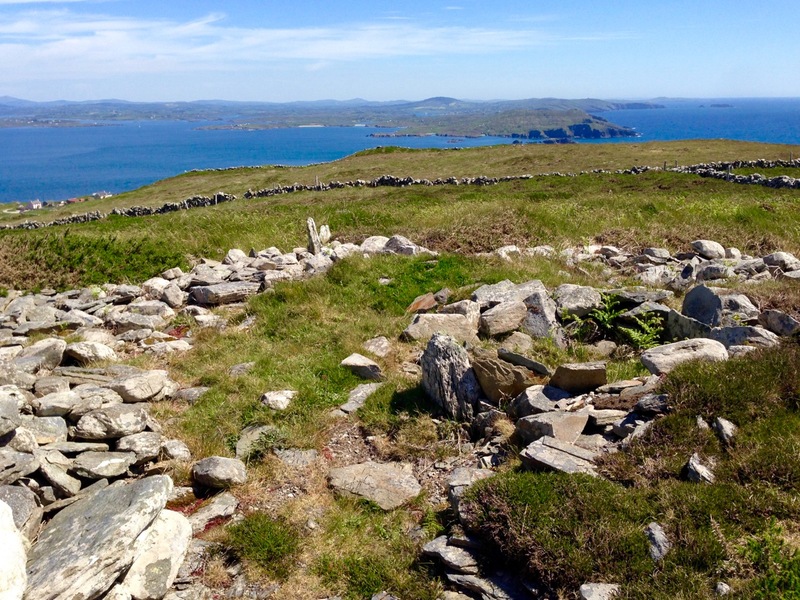 We move forward to 1984 when four archaeologists (Barra O Donnabhain, Mary O’Donnell, Jerry O’Sullivan and Paddy O’Leary) explored the wider area and discovered, on the very summit of the island, the ruins of a prehistoric structure. This site, 533 feet above sea level, is in the townland of Killickaforavane and is known locally as Quarantine Hill. At this time the island was investigating the possibility of producing electricity by wind power: hitherto electricity to some properties was provided by a diesel generating system which had been in place only since 1969. The obvious efficient place for wind generation was the highest point and plans were laid for setting up two SMA Regelsystem Gmbh 33w turbines (which began operation in 1987). 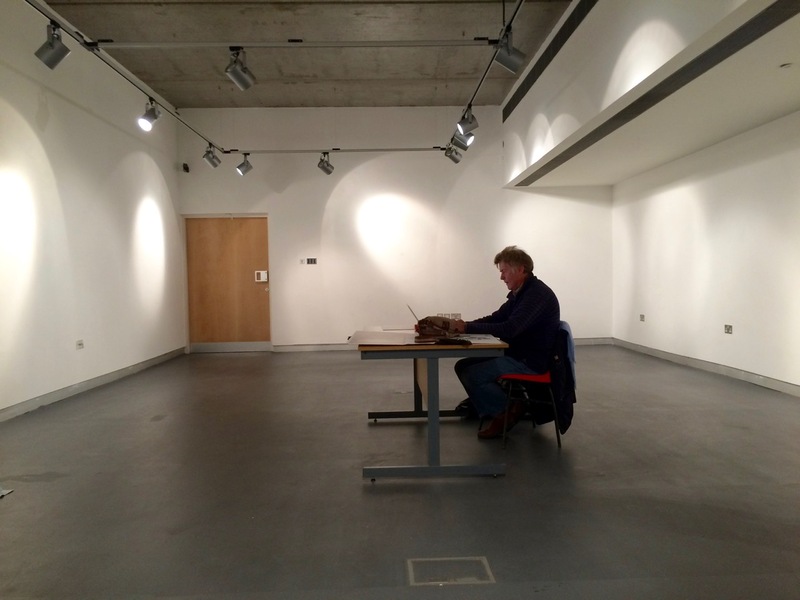 In preparation for this installation an archaeological survey of the immediate area was carried out by Prof Peter Woodman and Dr Elizabeth Shee. Paddy O’Leary and Lee Snodgrass were also present at that time. The collective view seemed to indicate that the structure could, indeed, have been a small passage grave. If the inscribed stone was, indeed, incorporated into the Cape Clear passage tomb, where might it have been placed? There are parallels in its design with some of the lintel stones at Fourknocks, but also I am drawn to similarities with stone L19 from Claire O’Kelly’s Corpus of decorated stones included in Michael J O’Kelly’s Newgrange – Archaeology, Art and Legend (Thames + Hudson, London 1982). This one is a standing stone – perhaps our well travelled stone was standing also. 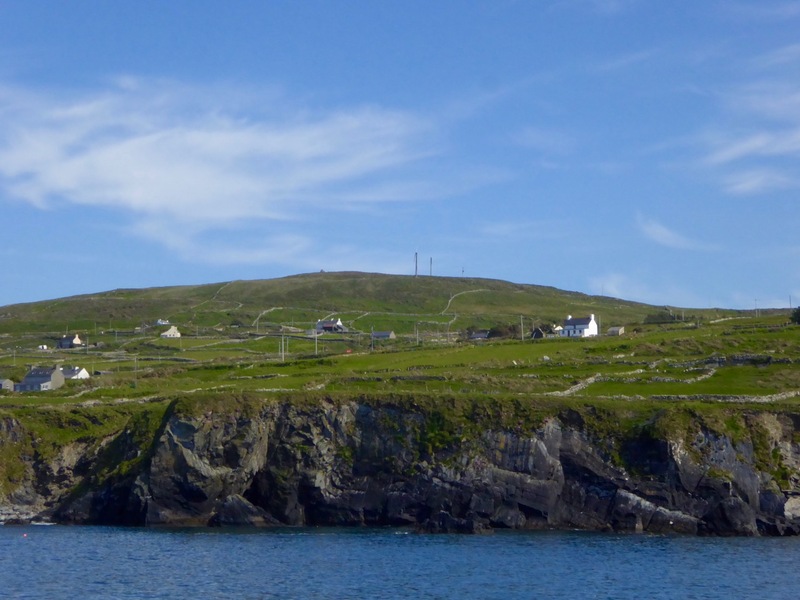 Here’s a suggestion – probably considered heretical in some quarters: why don’t we complete the travels of the Cape Clear Inscribed Stone by taking it out of the Cork Public Museum and (with some suitable ceremony) transporting it back across the sea to Cape Clear and setting it back up there for all time? For me, museums – while obviously providing safe keeping – sometimes lack the reality of true context… Alright then, if that is considered as inconceivable an idea as I suspect it would be, let’s make a very good replica and send it up to the top of Quarantine Hill. At the same time we could re-establish a pathway to attract people up there: our own pilgrimage to this very special site involved making heavy way through gorse and brambles. 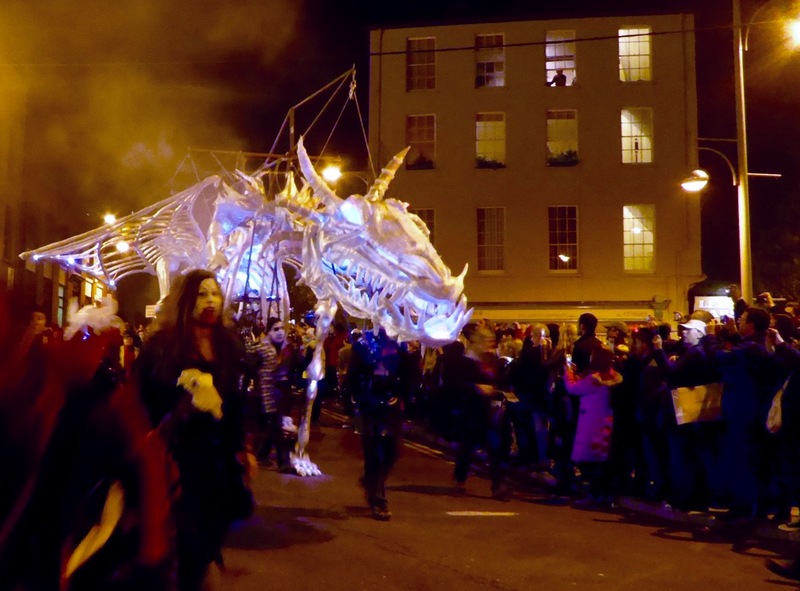 Hallowe’en (All Hallows – Samhain) was the perfect day to launch our Prehistoric Rock Art Exhibition at the Cork Public Museum. As Finola said in her remarks at the opening, it’s a time when the veil between two worlds is at its thinnest: in this case, it’s the veil between an ancient time and the present day. We hope the exhibition emphasises the work of our distant ancestors who have inscribed the landscape and given us the enigma that is Rock Art. As our regular readers will know, the exhibition has been a very successful collaborative effort: Finola and Robert (providing drawings, explanations and the overall design); Keith Payne, a West Cork painter whose work is inspired by ancient art; Ken Williams, the excellent photographer of megaliths and monuments; the staff of Cork Public Museum, including intern Clare Busher O’Sullivan who came up with the idea and Dan Breen, Assistant Curator and his team, who made sure it all happened. After some intensive days, on site and off, it has all come together and was launched yesterday. 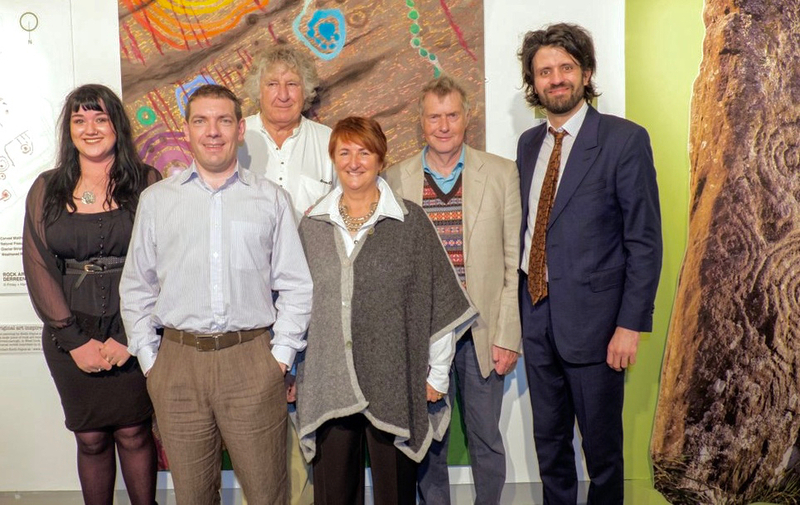 It was a grand launch: Firstly, William O’Brien – Professor of Archaeology at UCC – outlined a history of rock art studies and research which started back in the nineteenth century. He mentioned a predecessor in the department – Professor Michael J O’Kelly – who was born exactly 100 years ago and is best known for his excavations and restoration work at Newgrange, the Boyne Valley passage tomb: Finola worked on those excavations and it was Professor O’Kelly who suggested that she should carry out the research on rock art in Cork and Kerry which led to her Master’s thesis on the subject in 1973 – and, 42 years later, to the undertaking of this exhibition. Next up was Finola, who told us more about her expeditions back in the early 1970s. In those days when the boreens of rural Ireland were mostly populated by donkey carts her own travel was by means of her brother’s Honda 50 motorcycle, and we pictured her loaded down with compass, tapes, chains, chalk and tracing paper – a recording methodology now completely out of favour. But the result was a set of beautiful monochrome illustrations that form the core of the exhibition. In our modern days non-invasive recording methods have to be used: Ken Williams has developed a very effective method of photography using slave flash units to provide low angle lighting over the carved rocks, which brings the maximum level of detail out of the panels. The exhibition contains many fine examples of Ken’s work in this field. Finola also talked about Keith Payne’s work. He produces large and visually striking paintings based on particular rock art motifs. Two of these artworks are in the exhibition and will inevitably draw the eye, providing a good and colourful counterpart to Finola’s drawings. 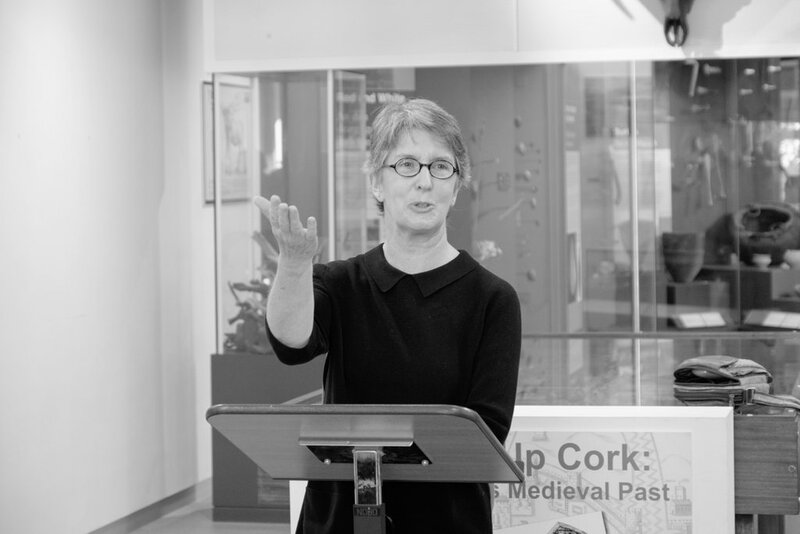 The official launch was in the capable hands of Ann Lynch, now Chief Archaeologist at the Irish National Monuments Office. Ann and Finola were fellow students at UCC. 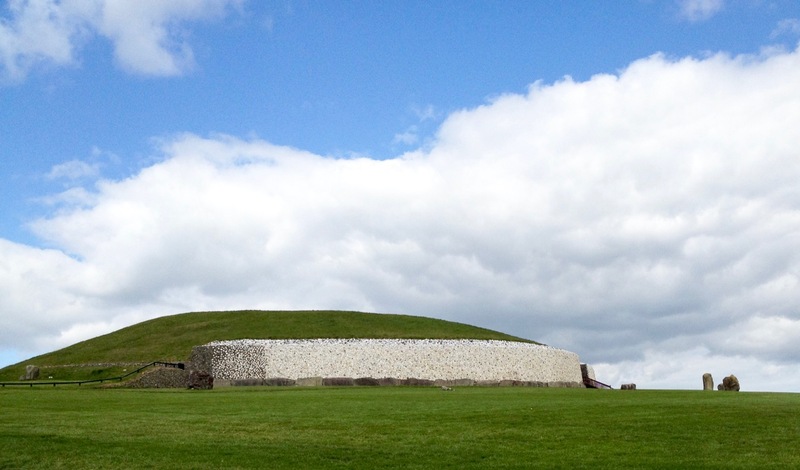 Ann outlined the work of her department in recording Ireland’s monuments – and the difficulties involved in pursuing the preservation and protection of these monuments, including Rock Art – before formally declaring the exhibition open. 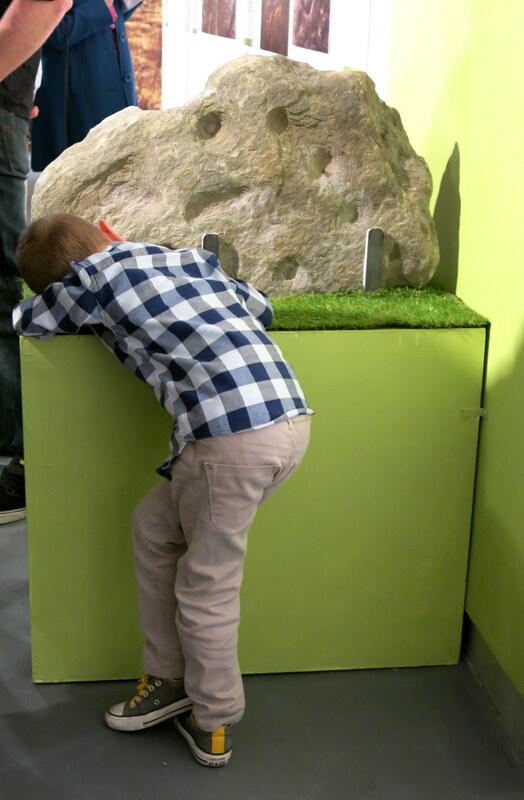 Noteworthy exhibits include one piece of Rock Art – the Bluid Stone from County Cork – which is in the safe keeping of the Museum, and will remain on permanent display after the exhibition closes at the end of February next year. The Museum also houses an example of passage grave art from Cape Clear island (prominent in our own view from Nead an Iolair). 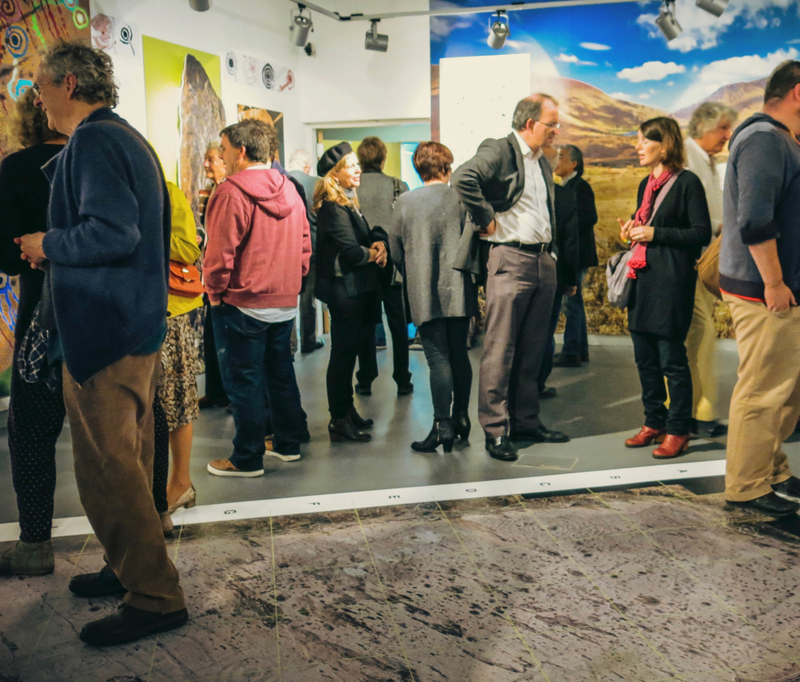 Other exhibits include Ken’s superb photo of the iconic stone at Derrynablaha, Co Kerry, in its panoramic setting of a Neolithic landscape. This occupies the whole of the end wall – and is simply beautiful. Visitors are surprised to see much of the floorspace taken up with a 70% life-sized image of the stone at Derreennaclogh: some hesitate to walk over it, but the printing is on hard-wearing vinyl, so feel free. The idea is to give you the feel of what it’s like to discover and explore the Rock Art out in the field. We have to mention how impressed we have been with the printing work carried out by Hacketts of Cork in the preparation of the exhibition – in particular, we were fascinated to watch the professionalism of their installation of the large items. 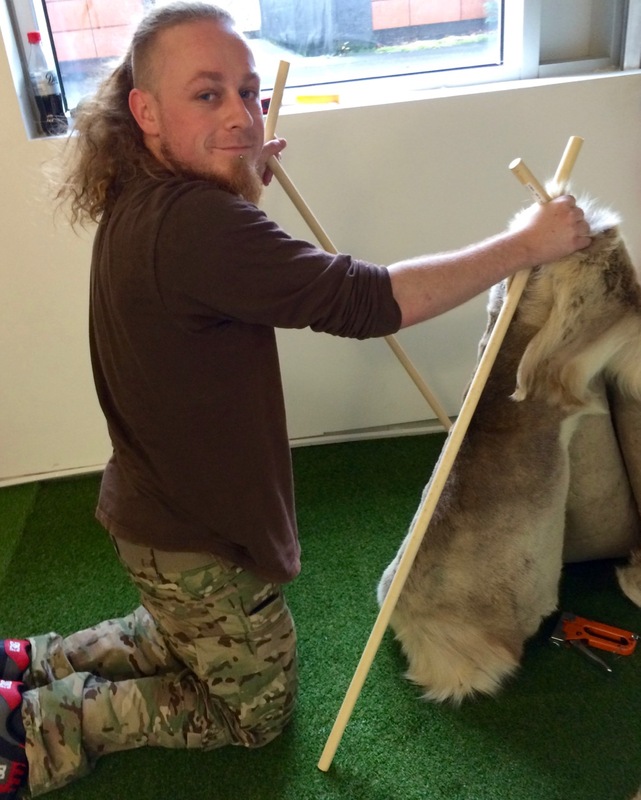 Yes – that floor can be walked on! The timescale is set admirably by Alex Lee’s ‘Neolithic Settlement’ on the approach to the exhibition room. It’s well worth studying closely all the artefacts set out in this, and imagining what life must have been like for our artist ancestors in Ireland four or five thousand years ago. We were delighted by how many of our friends from West Cork and beyond attended the opening, and gave us positive feedback. If you go during the next four months, please sign the visitors’ book. We are so grateful to our friends Amanda and Peter Clarke for being so supportive throughout – and for taking most of these photographs of the event: very many thanks. Rock Art Exhibition – at the Cork Public Museum! 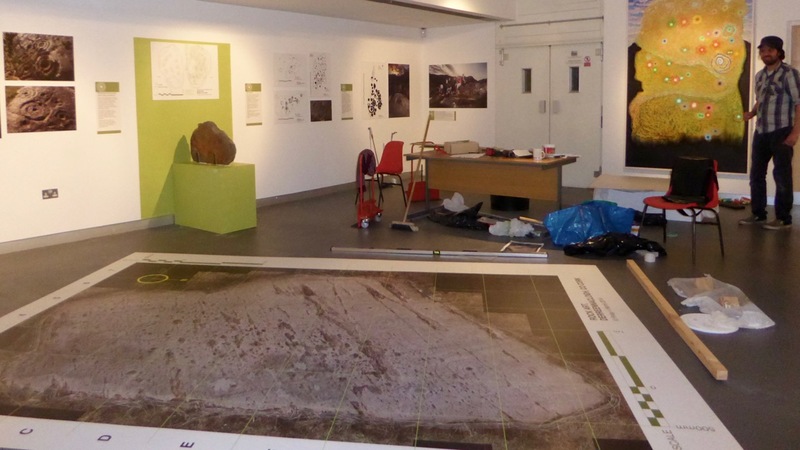 The Cork Public Museum has invited us to mount a Rock Art Exhibition and YOU are invited. Readers will remember the one we did last year in Ballydehob. Well, this one will be bigger and more comprehensive. First of all, this time we have two partners. Ken Williams will be familiar to readers of this Journal – we profiled him in the post Shadows and Stone in Action, and he, and his photographs, figured largely in our famous Derrynablaha Expedition post. 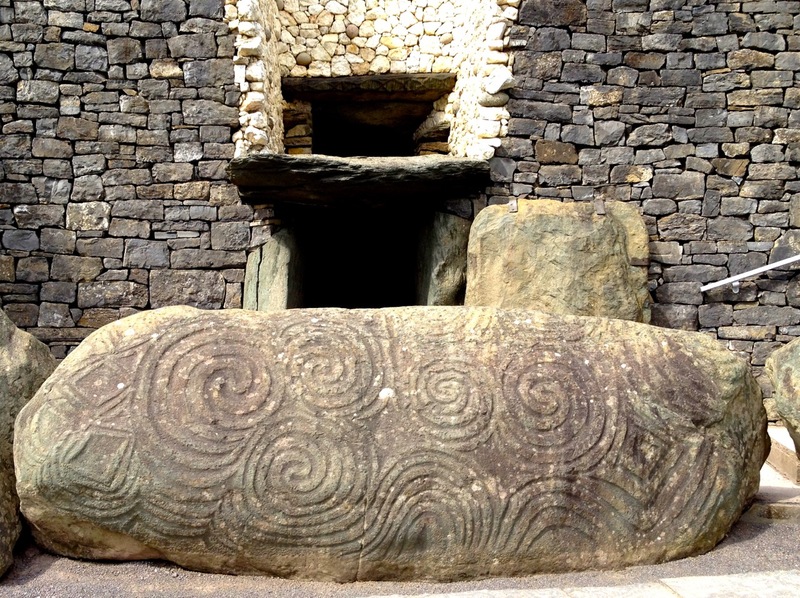 Ken is probably the foremost photographer of prehistoric monuments in Ireland, and certainly of prehistoric art. His website, Shadows and Stone is an invaluable resource of both images and information. He was recently profiled in The Irish Times Magazine – a wonderful two page spread. 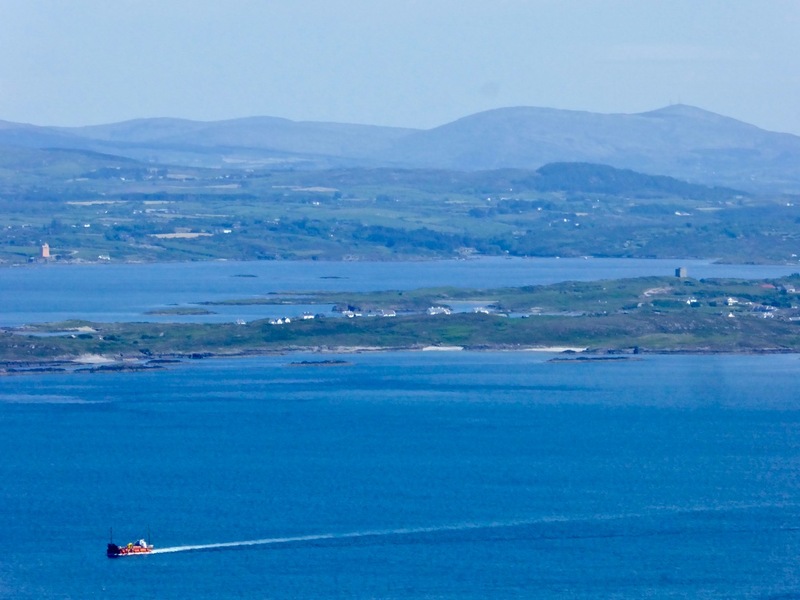 Keith Payne has lived, painted and exhibited all over the world, including running his own gallery in France, but now he lives in West Cork. He spent years travelling with the Rolling Stones creating stage sculptures and backdrops for their shows. Keith has always been inspired by prehistoric art – cave paintings, aboriginal rock paintings, and all forms of petroglyphs. The paintings he has contributed to the exhibition are based on West Cork rock art pieces but the form, and the amazing colours, are all his own. We are thrilled that he is participating. Besides Ken’s photographs and Keith’s paintings, the exhibition will include many of my rock art drawings and some of Robert’s more recent ones. There will also be ‘real’ rock art on display – an unusual stone from Bluid, near Castletownshend, and of course the Cape Clear Stone, which is on permanent exhibit in the Museum. 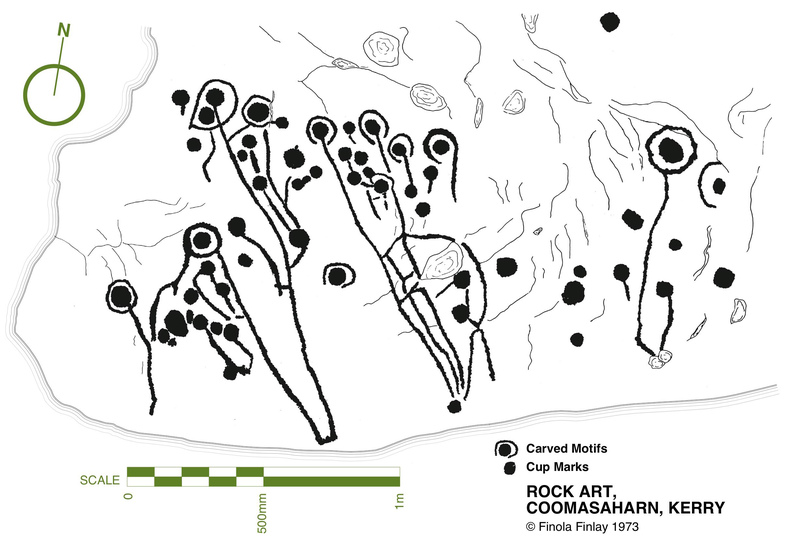 It’s an example of passage grave art rather than rock art, but the comparisons are fascinating and important. A ten minute walk away, at University College Cork, are two further examples of rock art, one from County Cork and one from County Waterford. The Grand Opening will be at 2PM on Saturday October 31st. Please come if you can and say hello. But if you can’t make it, the exhibition will run until February 2016, so we hope you can drop by.